When using our permanent electrostatic filtration media, monthly, bimonthly or quarterly we will come to your site and pull each filter and clean it thoroughly using our proprietary equipment which cleans the filter inside and out bringing it back to a like new condition each cleaning. If needed, we then weigh your dirty filter to determine a personalized change schedule. Each filter is checked to make sure it has not been damaged in cleaning and that it is performing within specifications. We take all the responsibility for the filters. 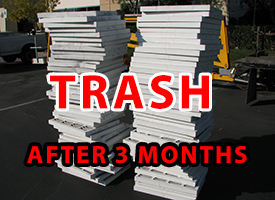 If we damage a filter in cleaning we will replace it for you at no charge. 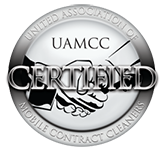 You are paying for the use of our filters and for our service of cleaning and delivering them. YOU WILL NEVER HAVE TO PAY FOR ANOTHER FILTER AGAIN! 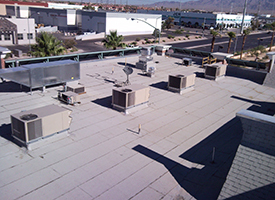 As an added benefit we will notify you of any potential problems we observe with your equipment so that you can address them before they become big expensive problems. 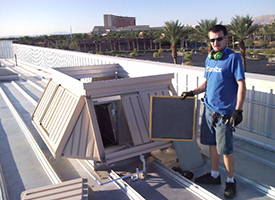 Sonitx provides regularly scheduled maintenance to replace all types of HVAC air filters in commercial business operations.